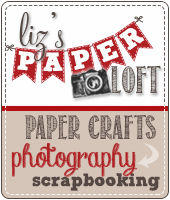 Liz's Paper Loft: MCT April Release Sneak Peek Day 2 ~ Enjoy The Ride! 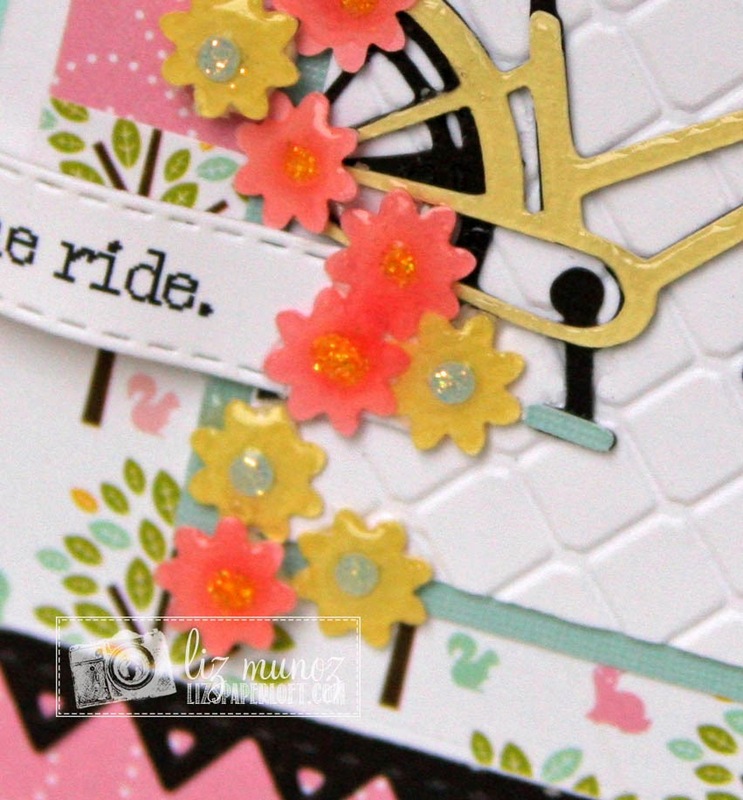 MCT April Release Sneak Peek Day 2 ~ Enjoy The Ride! 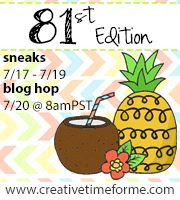 Hey Hey Hey it's Day 2 of My Creative Time's April Release Sneak Peeks! Today we are featuring Way To Go and Main Street, you are going to LOVE LOVE LOVE both of these sets!!!!! Oh, did I mention you will LOVE them! lol! For my card that I'm sharing with you, I used Way To Go set! Isn't this bicycle soooo CUTE!!! Oh my goodness, just wait until you see everything that comes with this set, Miss Emma out did herself again...I know, I always say that...but, it's true!!!!! I like the idea of the "subject" being interupted, whether on a card or in decorating, hence the bicycle being cut off. It's just something that's appealing to my eye. After adding stickles to the center of the flowers, I covered the whole thing with glossy accents. So pretty!!! 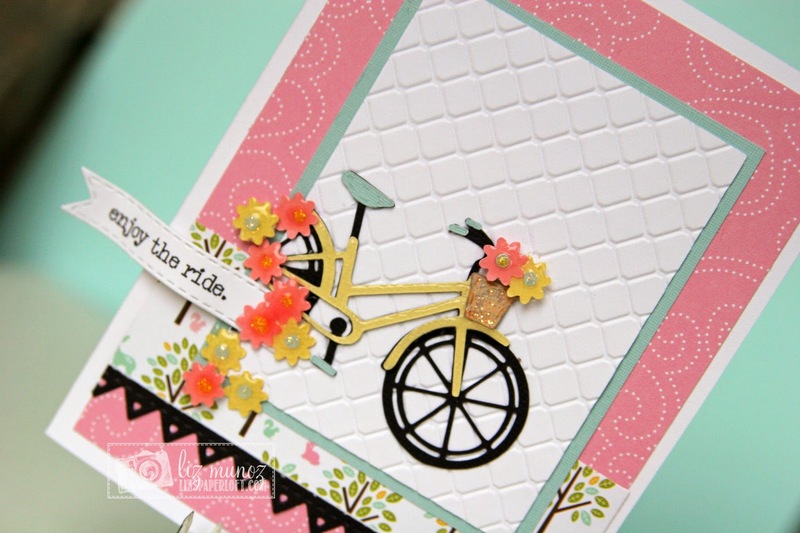 I love that embossing, and then the way you used just part of the bike is really striking! Gorgeous card, Liz! Just AMAZING!!!!!!! GREAT Job Miss Liz! Liz ~ Well you doing this to the bike ~ I AODRE!! Never thought about that! 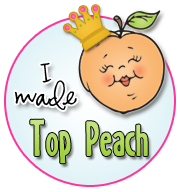 Then the details plus the PERFECT banner and sentiment! As always ADORE your style! First I love how you put the kick stand up!! getting ready to ride!!! an I adore the flowers by the back wheel!!! This is so fun! I love love the colors! I love the way you show "part" of the bicycle". Great design! What a beautiful, cheerful card! I just love the new sets. Great card Liz. Very interesting to see the bicycle coming onto the card and the embossing behind it gives lots of texture. Very pretty. I love the embossing on the white sheet. All of the flowers on the bike are great. The small touch of "greenery" at the bottom really grounds the whole design. Gorgeous card Liz!! 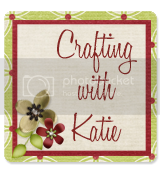 LOVE the colors and papers and the awesome job you did with the new stamps and dies! What a lovely card. It just made me smile with the gorgeous colors and flowers which remind me of summer. I really like the embossing behind the bike to really draw the eye in and your flowers are fabulous with the sparkly centers and Glossy Accents. 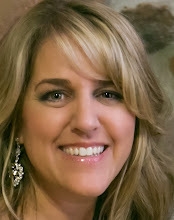 So pretty and feminine, Liz. Love your card! 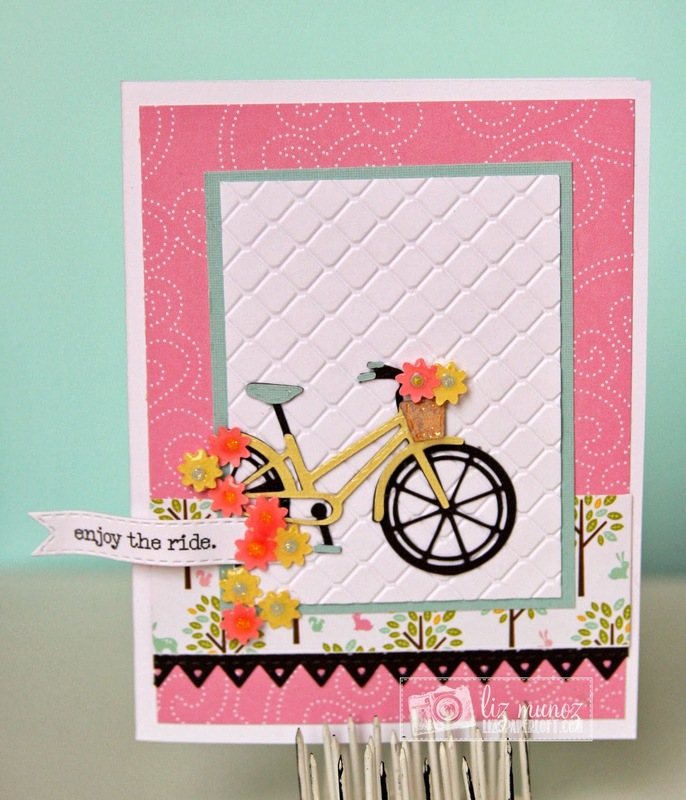 The chain link embossing folder is a perfect choice for the bike. I also like how you have part of the bike hidden. Just beautiful, thanks for sharing, you did a great job with the sneak! Fun card! I like the embossed background and all of the pretty little flowers you used on the card. Very pretty--I like the embossed background. Great card-I like the bike cut off too! In a word "SPECTACULAR"!! 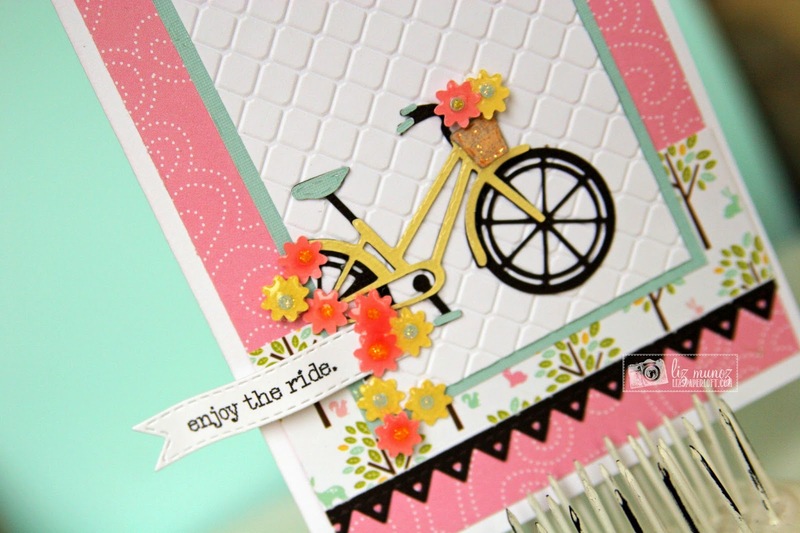 There is everything...Gorgeous paper patterns, Beautiful embossing, Lovely flowers, the way you placed the bicycle as if riding through if just PERFECT and the just right sentiment...SUPER JOB!! 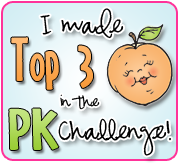 Thank you so much for sharing and all the inspiration. These sets are WAAAY COOL!! What a lovely card. All the little flowers and the embossed background are wonderful. Gorgeous card Liz! Love the soft color palette you used! Love how you embossed inside the frame and framed the bike. How cool leaving the end hidden. This is one of my favs!! I just love the colors together. And that bike and all those flowers...so spring!! !